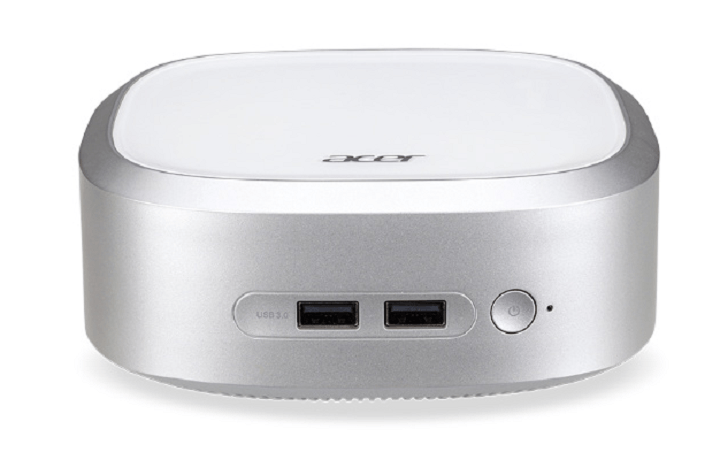 The goodies have started to appear at IFA 2016, with Acer revealing its latest mini-PC, a small and compact offering. This mini-PC is stylish, saves space, and is perfect as a home entertainment and content hub. The Acer Revo Base is powered by an Intel Core i7 processor and has up to 8GB of DDR3L system memory, which allows it to run smoothly when handling intensive tasks. The device can support up to two monitors, has speedy wireless connectivity, and is a perfect multimedia hub: lag is a forgotten word with this top notch mini-PC. With digital content delivery becoming the norm, a compact home entertainment hub offers users the convenience and storage space that laptops or tablets just can’t offer. The Revo Base is designed as a dedicated entertainment, browsing and content-serving device that addresses the performance and expandability needs of today’s consumers, while also taking into consideration the space constraints of modern living rooms. The VESA-compatible mount allows it to be placed out-of-sight in constrained spaces. The Acer Revo Base will be available in EMEA in the first quarter of 2017 for a price starting from $480.